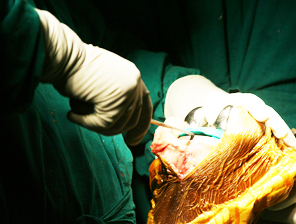 The department of Orthopaedics & Trauma is known for advanced joint replacement surgery, major complex trauma including pelvic-acetabular fracture management, arthroscopic knee surgeries, paediatric orthopaedic surgeries, spine surgeries, deformity correction and bone tumour management. have world class oncology department with state of the art equipments and investigative tools to treat all types of cancers including bone and soft tissues tumours. KMCH being located on NH 47 helps in treating trauma victims quickly and effectively within “The Golden Hour”. This is the only center in this region where surgically inaccessible deadly pelvic bleeding is controlled by the life saving angiographic coiling. 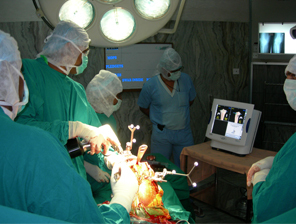 Advanced state of the art OT Table (Maquet). 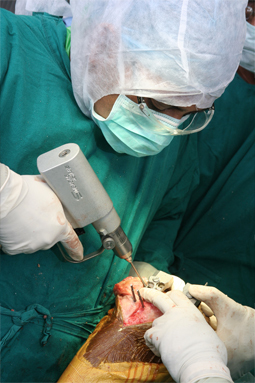 Advanced Orthopaedic instruments and implants. 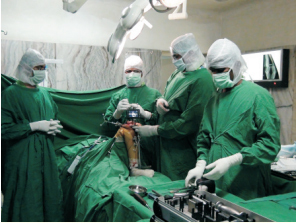 Paediatric Orthopaedics The hospital has an established paediatric Orthopaedic department. 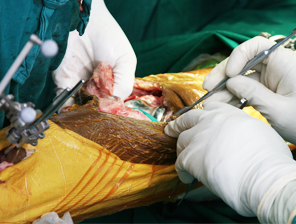 Sports injury & Arthroscopic surgery deals with many conditions treated with "Key hole Surgery". Many patients can be treated by a day care procedure.